Crime fiction writer Peter James interviews the main character from his thriller series about the books he reads when he's off-duty. We love it when authors are so inside the heads of their characters that they know exactly what titles are on their (fictional) bookshelves. In this case, New York Times bestselling author of the Roy Grace series, Peter James introduces us to Brighton’s top homicide cop, Detective Superintendent Roy Grace, who is dealing with perhaps his cleverest villain yet…yet he still finds time to read. In Peter James’ latest, Love You Dead, Grace is feeling the pressure from his superiors, his previous case is still giving him sleepless nights, there have been major developments with his missing wife Sandy, and an old adversary is back. But worse than all of this, he now believes a Black Widow is operating in his city. One with a venomous mind…and venomous skills. Soon Grace comes to the frightening realization that he may have underestimated just how dangerous this lady is. Here, author Peter James interviews his main character Roy Grace about his favorite books, and those that have influenced his career. Peter James: So, Roy, your work as a homicide detective is pretty much all consuming, and on top of all that, you have a new wife and a young baby. Do you have time to read? Roy Grace: Yes, I make time to read—in between my endless case files on current homicides I’m working on, and historic “cold cases” that I’ve been allocated. I divide my reading pretty much into three sections—which tends to mean I’ve usually got three very different books on the go at the same time! 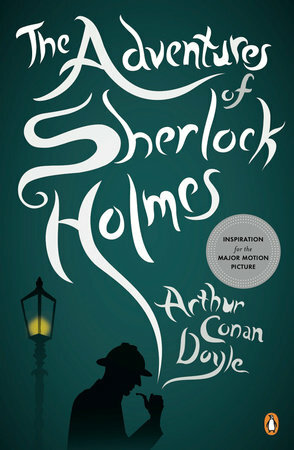 Firstly, I read books that I think will help my work as a detective, secondly those I read for pure pleasure—most of which are in the crime and mystery genre, I’m almost ashamed to say (I guess they’re a kind of guilty pleasure)—but I’m also interested in the minds of other detectives, past and present, real and fictional…And thirdly, I read accessible books on philosophy, which I’m finding fascinating and which enable me to keep up with my much more intellectual wife, Cleo, who is studying for a degree in that subject at the Open University. I joined the Police straight after school, and if I have one regret, it’s that I didn’t have a university education. I have a baby son, Noah, and I’m sure in a few years time he’ll start to think I’m a lot smarter than I really am—so I guess I’m doing my best to improve myself in order to cushion his eventual disappointment. Peter James: That’s very interesting that you never went to university. Are there any books that you have used as a guide over the course of your career? 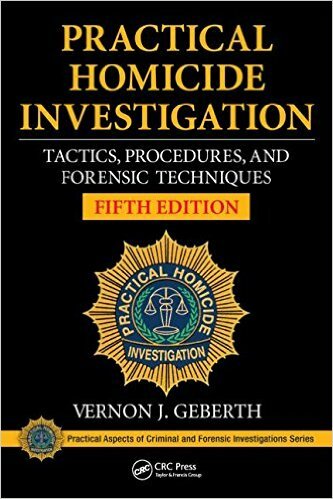 Roy Grace: One book that has been a trusted friend and reference guide ever since I first became a homicide detective, some sixteen years ago, is Vernon J. Geberth’s Practical Homicide Investigation: Tactics, Procedures, and Forensic Techniques. It is a massive, weighty tome, regularly updated, and full of seriously gruesome crime scene photographs. Call me weird but I’ve even been known to read it in bed late at night—I’m fortunate because Cleo works in the Mortuary and is pretty unshakable! 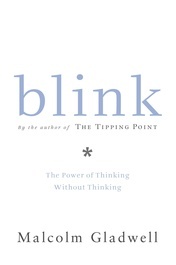 Reading body language is a vital skill for a detective, and one of the books I find fascinating for this is Malcolm Gladwell’s Blink. What is it that makes a dating couple instantly click? A marriage guidance counselor know within minutes whether a couple will stick together or divorce? He teaches us to trust our instincts, arguing that a snap judgment can be more accurate than a cautious decision. And I have to make snap judgments frequently in my work, in fast-time situations. 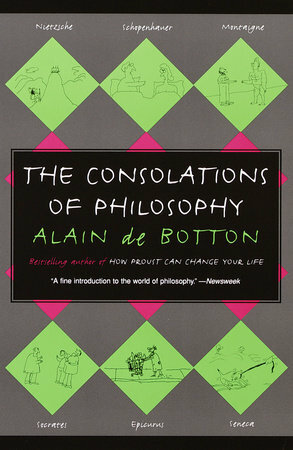 The Consolations of Philosophy by Alain de Botton is a favorite book on this topic. I find with a lot of writers the subject goes over my head, or I’m reading the same page over and over. But I enjoyed this hugely—and learned a lot from it. 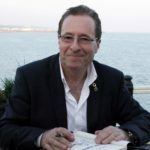 Peter James: Have you ever read any books set in your domain of Brighton, or do you find they hit a little too close to home? 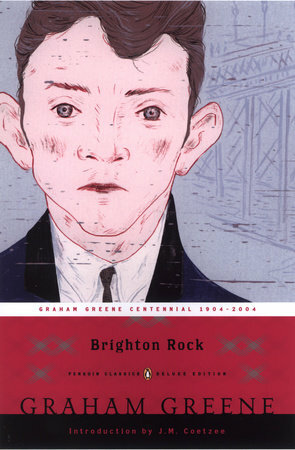 Roy Grace: Well actually Peter, I read Graham Green’s thriller Brighton Rock after seeing you interviewed on television, talking about it, saying this was the novel that made you want to become a writer. You said that when you put it down, the first time you read it, during your teens, you made a vow that one day you would try to write a novel set in your home city of Brighton that was ten percent as good as this. Well, I have to agree with you, this is a novel I read and return to. I love its real hook of an opening line, “Within three hours of arriving in Brighton, Hale knew they meant to murder him.” I think it has one the cleverest and psychologically-dark endings ever written. But most of all, I love the central character, a 17-year-old boy gangster, Pinky, in charge of a bunch of middle-aged second-rate criminals. He is an incredible character, a murderer, yet a devout Catholic, terrified of eternal damnation. 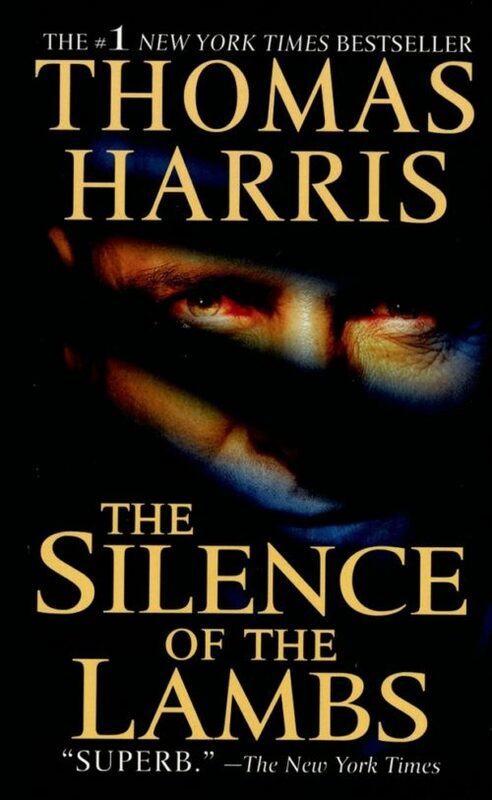 It is up there, along with The Silence Of The Lambs in my Top 10 greatest mystery novels ever written. In my work as a detective, when I’m on a particularly difficult case I often find myself wondering what would Sherlock have done? 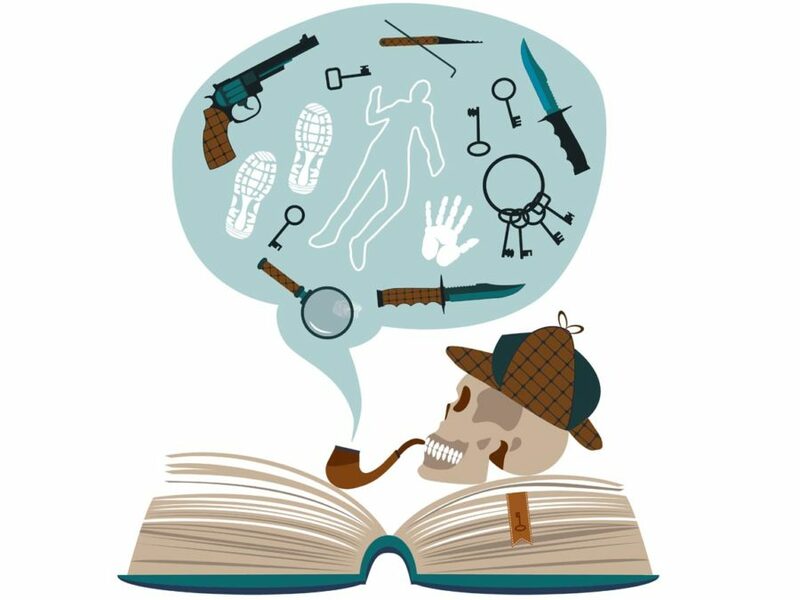 And the words his creator, Sir Arthur Conan Doyle, once put in his mouth are still a mantra of most detectives working today, well over one hundred years later: When you have eliminated the impossible, whatever remains, however improbably, must be the truth. Peter James: I have just one more question…as a detective yourself, are there any authors today you admire for their accurate depiction of police procedures? 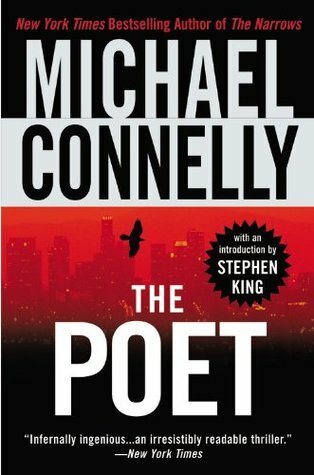 Roy Grace: I love many modern writers, but my favorite of all is Michael Connelly. As a cop myself I get really irritated when I read inaccuracies in police procedure—just pure sloppy research. Michael Connelly is a rare exception—a former court reporter, his research is absolutely spot-on, which is what makes his books, for me, such a joy to read. I first discovered him years back when I read The Poet, and that is a book I can re-read and never tire of. Connelly is truly the guy who gets it right. Well, thanks so much for having me, but I really must get back to the office…there’s a black widow on the loose in Brighton, have you heard? For more, check out Peter James TV, the new YouTube channel where the author shares fun videos such as fan Q&As, giveaways, behind-the-scenes research experience, writing tips, and much more. He even has a feature called “In the Author’s Studio,” where he interviews other famous mystery/thriller writers, such as Lee Child, Jeffery Deaver, and Paula Hawkins, among many others. PETER JAMES is a New York Times-bestselling writer of crime fiction. His novels, which include the bestselling Roy Grace series, have been translated into 36 languages, with worldwide sales of 18 million copies. He is Overseas Vice-President of International Thriller Writers in the U.S., and served two terms as chairperson of the UK Crime Writers Association.